I have had a hard time finishing this quilt. I think I am somewhat intimidated by it. I love it and I am nervous that the quilting will not be right. This month, I plan to put on my big girl pants and jump in. I need to finish it by 30th November so I can enter it in the Quiltcon Festival (hopefully, my second entry). 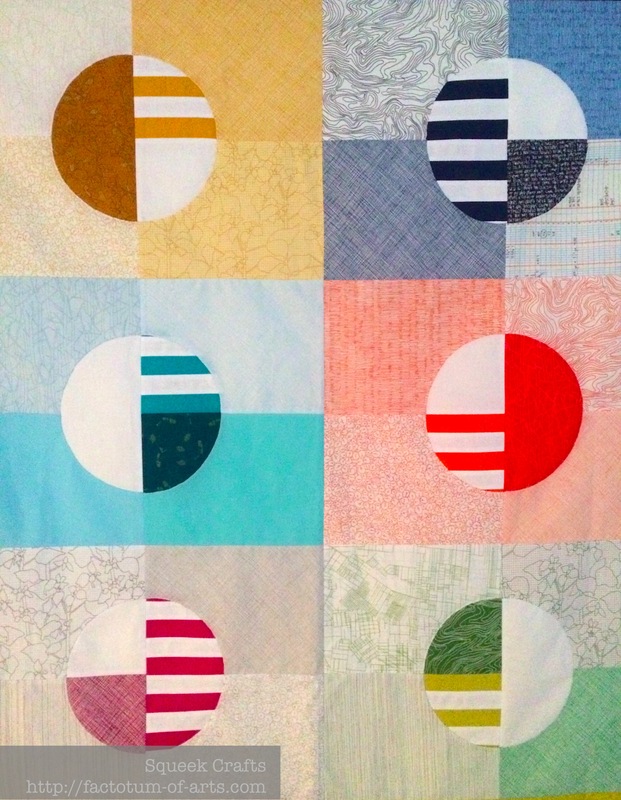 So what quilt am I talking about….you guessed it “Phased Circles”. A close up of the center circles which features almost all of Carolyn Friedlander fabrics from Botanics and Architextures. 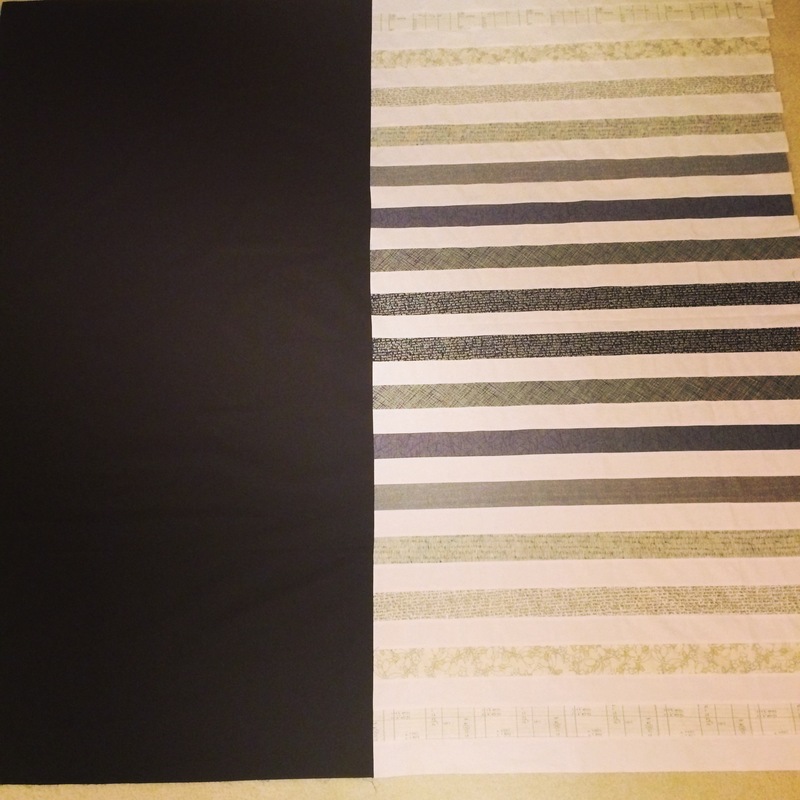 The back was made to complement the colors in the front, featuring the black, white and grey prints from Carolyn’s lines….a total of 36 prints (yes, I have an obsession). The quilt is basted, all I need to do is quilt and bind it and its done. Linking up with Melissa @ Sew Bittersweet Designs for A lovely year of finishes (See button on the right). This entry was posted in Uncategorized and tagged a lovely year of finishes, ALYoF, Carolyn Friedlander, November, Phased Circles on November 1, 2014 by mlwilkie. this is such a pretty quilt. I will be even prettier when finished. Way to go. I love the PP bird on your header. I will be making placemats this winter for spring and summer with PP birds on them. I love the visual effect with the circles. The colors are gorgeous! I have more than a few completed quilt tops that have sat on the shelf because I love them so much and don’t think my quilting skills are good enough … yet. Your quilt is going to be beautiful and I hope you go for it. Go to it! It’s my favourite, and I’d like to see it done! I love this Phased Circles!!! Oh, that will be lovely! Can’t wait to see it done! Yay!! Can’t wait to see it quilted and done! And at Quiltcon, hurray! Can’t wait to see what you end up quilting on it! I can understand why you feel scared of it though; i wouldn’t know where to begin quilting it either!! This is a beautiful quilt!! I can’t wait to see how you quilt it!!! This is really cool – so much interest here. Good luck with the quilting! 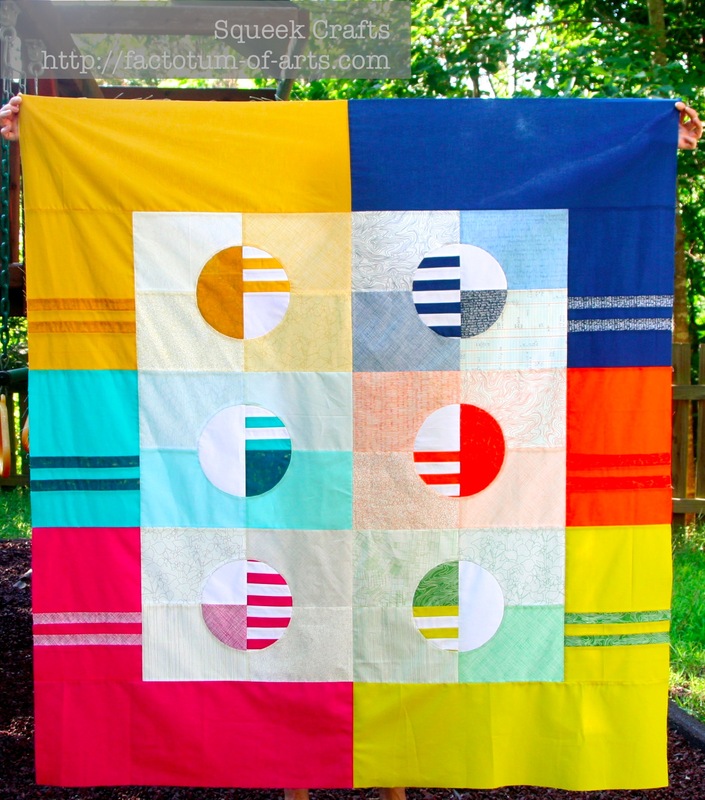 This is such a beautifulu quilt – I’m sure you’ll do just fine with the quilting! I can’t wait to see it finished! You’ve got this! The design is so amazing, you can go simple with the quilting. I understand the pressure to do something awesome, but be confident that it already is! Anything you do will just make it more awesome and closer to done. Such a unique quit,love it! Good luck with your goal. I also have a pile of quilts I’m holding onto until my skills improve. When will we consider our skills to be good enough? I love this quilt. The colours are incredible. Good luck with the quilting.